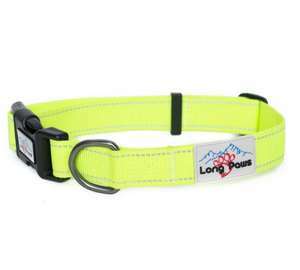 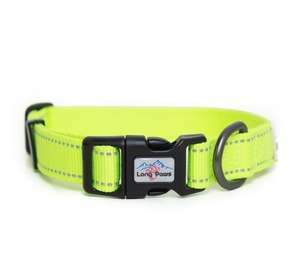 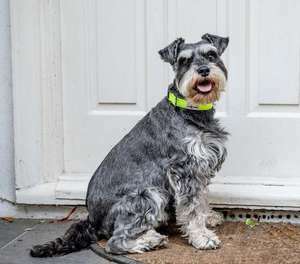 The Urban Trek Dog Collar by Long Paws is reflective, strong and safe, perfect to be seen on your nighttime walk! 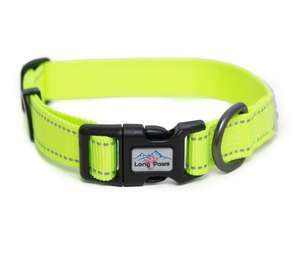 The Long Paws Urban Trek Collar makes sure you and your dog shine brightly, even in the darker evenings. 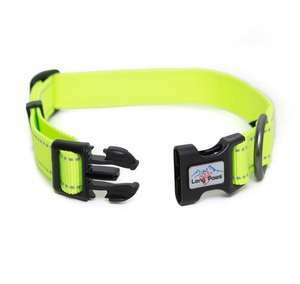 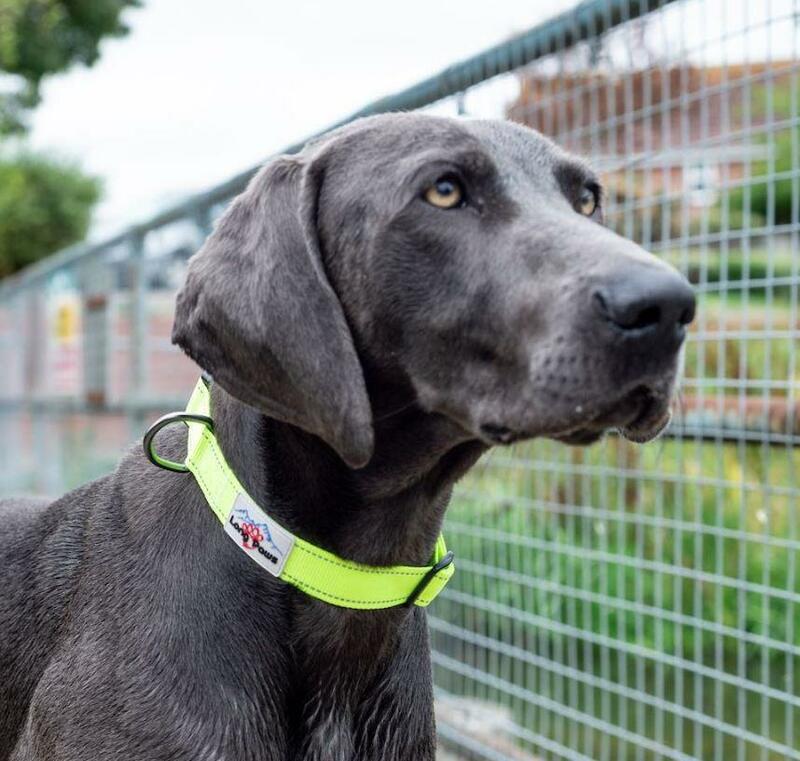 The Neon collars are made from the best high visibility material and ensure you and your dog can be safely seen in low light environments. This range is made from extremely strong brightly coloured neon webbing, and has high quality 3M Scotchlite reflective strips to make the collar glow when seen in headlights. 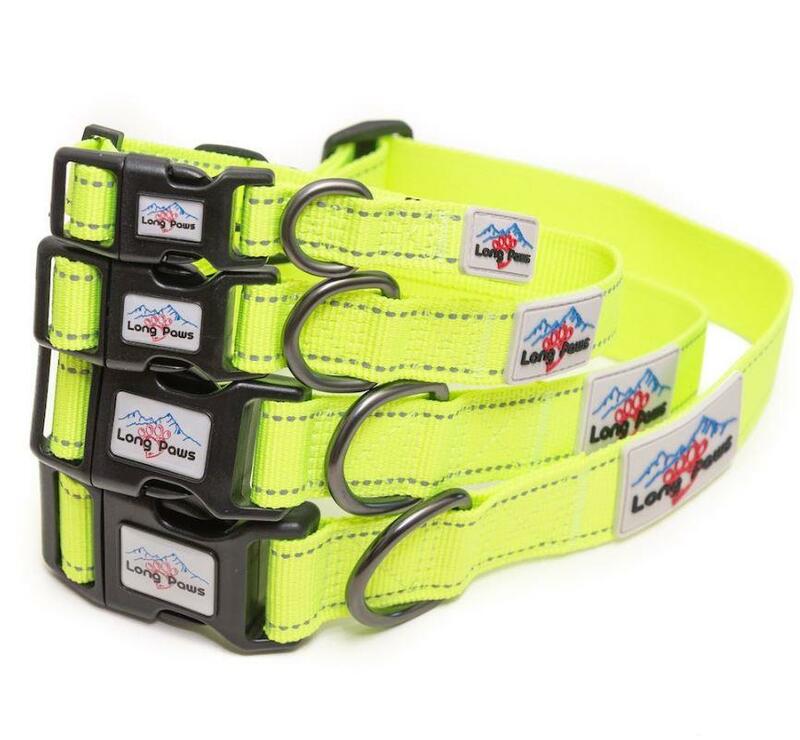 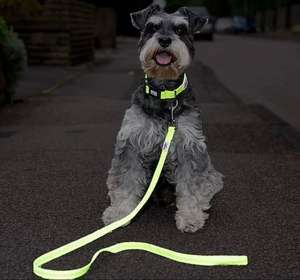 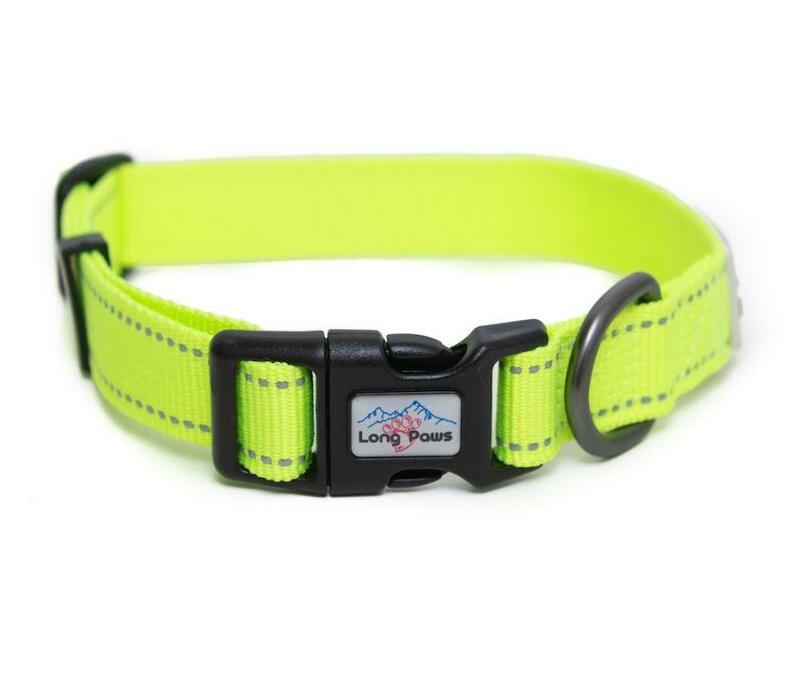 The Long Paws Neon range is ideal for dogs of all ages, and is the perfect outdoor accessory for adventurous dogs. 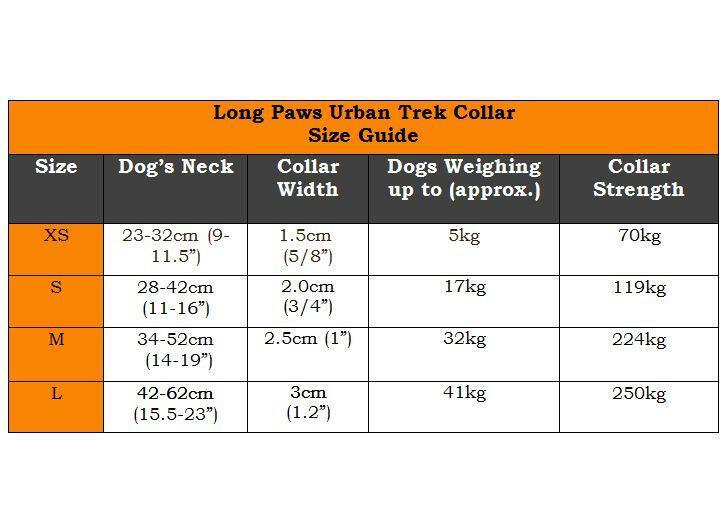 It is recommended that you measure your dog's neck to ensure a good fit. If your dog's neck size overlaps two sizes, then unless you expect your dog to continue growing, the smaller of the two sizes is probably the better choice for your dog.